In April of 2014 Martin “Marty” O’Donnell, then Bungie’s audio director, was fired from the company “without cause.” A court ruling issued last week in a case between the composer and his former employer sheds light on the events leading up to his termination and the hand Activision played in souring their relationship. What seemed like a shockingly abrupt parting of ways last year had actually been brewing since events taking place during E3 2013, according to legal documents uploaded by Venture Beat’s Dean Takahashi, who’s been following the O’Donnell/Bungie situation closely since the April 2014 termination. 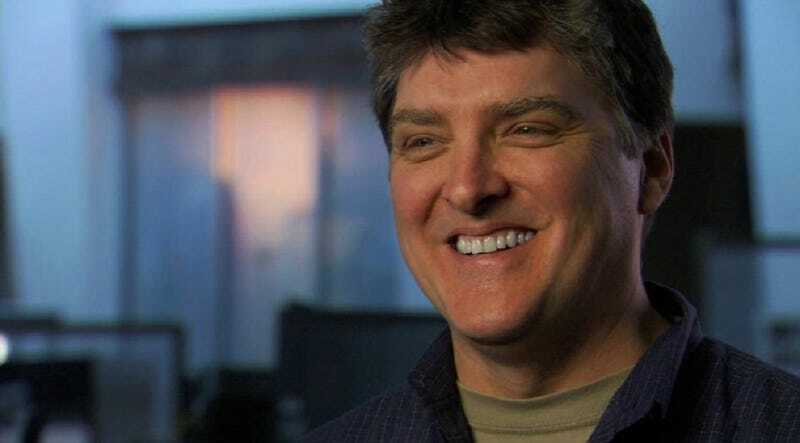 After working as a contractor on several Bungie titles, Marty O’Donnell joined the company as an employee in 1999, days the developers’ purchase by Microsoft was finalized. As a member of Bungie Studios he was responsible for crafting Halo’s iconic theme music, working on all aspects of sound design for essentially everything the studio produced. In 2010, three years after Bungie’s 2007 split from Microsoft, the developer entered into a ten-year development and marketing deal with Activision for its new first-person shooter franchise, eventually named Destiny. Rather than create the music for each planned installment of the game, it was suggested that O’Donnell compose a score for the entire franchise all at once—music that would span an entire decade of games. Over the next two years O’Donnell composed a symphonic and choral suite in eight parts, collaborating with Paul McCartney of The Beatles fame in the process (McCartney even recorded an original song for the game). The work, collectively called Music of the Spheres, was recorded in early 2013. O’Donnell considers the project one of the high points of his career. So imagine his disappointment when, shortly before E3 2013 as Bungie was preparing a trailer for Destiny featuring O’Donnell’s music, Activision stepped in and took over trailer creation, supplying its own music instead. According to the court documents, O’Donnell was furious. He believed Activision had overstepped its role by taking over creative control of the trailer. Bungie CEO Harold Ryan and the rest of management agreed and filed a complaint with Activision, but the publisher overruled it. The audio director’s frustrations were compounded by the fact that his desire to see Music of the Spheres produced in its entirety as a separate audio release, a prospect that neither Activision nor Bungie seemed keen on. O’Donnell responded to the Activision-scored trailer by tweeting during the game’s E3 presentation that the music was not Bungie’s, threatening fellow employees in an attempt to keep the trailer from being posted online and interrupted press briefings. O’Donnell believed the Bungie spirit was being compromised by the Activision agreement, and perhaps they were. But management saw his actions as disruptive and harmful. O’Donnell was given a poor employee review in the fall of 2013. In lieu of his next review in February 2014, Bungie drafted a termination agreement. Under the proposed agreement O’Donnell would continue working on Destiny until work was complete—no later than July 31 of 2014. Considering the deadline unrealistic—sound design could not be completed until the game was in a largely finished and bugless state—and feeling some of the clauses in the agreement, including one that would see him forfeit stock ownership and give up his rights as a company shareholder, O’Donnell declined their proposal but agreed to continue working. It was pretty much the end. By early April the audio work was piling up, members of O’Donnell’s team were complaining to management that his presence was frustrating completion of work and he wasn’t contributing as much as he was expected. The Bungie board of directors terminated O’Donnell’s employment without cause on April 11. Since then two lawsuits have been filed, one by O’Donnell against CEO Harold Ryan over unpaid benefits, which was resolved in July, and a suit against Bungie itself over the forced forfeiture of his company stock upon his termination. Earlier this week the arbitrator of the second suit determined that Bungie had violated its contract by forcing O’Donnell to surrender his stock and forego participation in the company’s profit sharing plan upon his termination. He’ll be receiving 192,187.5 shares of vested Bungie common stock and payments from the profit share plan, the first of which is a little over $140,000. And that’s what happens when art clashes with business. It’s the sort of situation where I can see where both sides are coming from, and something had to give. Marty O’Donnell, fresh from launching his own game studio, is ready to put the whole affair behind him.